This is the first in the series of #geekythings that I am going to write in my blog which goes as my first entry to the Blogger’s corner- a new category dedicated to giving back to the amazing blogger community that has helped me in my journey so far. It all started with a banter on a private Whatsapp group about the usage of hashtags and how ridiculous it is. I know very well what my stand would have been a few months back when my Twitter account was just hibernating for years underground and my Instagram account was just an external storage for the multitude of photos. I have never been a fan user of either of these platforms till I took up active blogging, hence the emergence of hashtags came to my notice much late when there was a sudden surge of “#Hey #Whatsup# howareyou# Iamawesome #myselfie #intheloo..” type of posts on Facebook. I remember making such hyperbolic jokes around the new-age trend that was just too funny according to me. So how did it all change from that to today when I sit here writing about the “power of hashtag”? Read on. So what’s the right way to use hashtags? In essence, it is the easier, most user-friendly version of markup language that helps you “talk” to the internet and “teach” the machine what your post is about. Normally Search Engines use the HTML tags to figure it out but with hashtags, anyone can basically tag their posts to a topic or category which the user considers relevant. The hashtag trend first started in 2007 when people started using the hashtag #wildfire while tweeting about a wildfire broke out. With even News media relying on Twitter updates for covering major events like election results, the act of searching news on Twitter using hashtags should not come as a surprise even to the biggest critics of social media. Coming back to “how did it all change”, let me tell you a key thing about myself – I am not a popular personality, never was and never will be. I am an extreme case of a socially awkward introvert, who opens her mouth only to express her opinion on controversial topics which doesn’t really go well with many. So as you can understand, a 30-year old, married opinionated introvert woman is not the ideal recipe for social media success. Most of my Instagram followers are friends and acquaintances who themselves hardly check the app once in a month, but most of the engagement I get is from people I do not know. The key to it is Hashtags! There is a key difference between Facebook (or Orkut from our generation or Google Plus which nobody uses for what it is) and the likes of Twitter/Instagram/Pinterest – Followers. Though Facebook is now trying to be the Jack of all trades by introducing followers, stories and all other concepts from the new generation app, we are more familiar to the concept of “friends” than “followers”. So, basically when someone sends you a friend request, you need to accept that for them to see your feeds, and for you to see theirs. Both of you will feature in each other’s social media circle. That is not the case for Twitter or Instagram. Here you have followers and the people you follow. The social validation game that we 90s kids started, has been taken to a whole new level now by the new Gen teenagers. The “cool-factor” now has a formula which is, number of followers/ number of following. The greater the ratio, the cooler you are. Now, I’m too old to be in this game, but as a blogger, I need visibility and engagement on my posts. How do I reach people who are active on Instagram? People I don’t know, people not on my “friend list”, not even “friends of friends”, or alumni group? Well, “hashtag,” says “Hii”! Using hashtags you can increase your reach multi-fold, and as more and more people start following topics rather than people, the engagement on your posts become less and less dependent on your followers count. Well, that’s the ideal situation, practically, people still follow profiles more than hashtags, which is why follower counts are important and having a popular personality helps. Good news is if people like what pops up from your handle regularly on relevant hashtags they follow, they may actually visit your profile, see your page and start following you. So you get a follower who doesn’t know you personally, but liked what you posted online – isn’t that the most rewarding feeling for a blogger? The power of hashtags is not limited to just getting the likes and retweets. Here are some lesser known yet more useful ways you can leverage them to cross-promote your blog or business. – Build your own brand: Use a hashtag of your own , something directly related to your own blog, preferably reflecting the name of your blog. While having the name of your blog as your hashtag is the most obvious thing to do, if you really want to leverage it, you need to find something that people find relevant for their own content as well. For example I use the hashtag #backpacknxplore which is the name of my blog but in a way it is also a cool hashtag for any travel related content. On the other hand if I use a hashtag #sinjanawrites which is my name and practically my own brand as well, it’s great for my writing career, but for the blog I own, it does very little. Again if you go too generic like using #wanderlust for your own branding, it doesn’t even count as your personal brand. Encourage people to use your hashtag. Just put a one-liner in your description encouraging people to use some of your personal branding hashtags for relevant images. –Use on sponsored posts: So let’s say you did all that and have started getting offers from brands for collaboration. Bloggers can then use hashtags like #sponsored on their posts be it on Social media or on their actual blog post itself , thus saving the time and space for a long disclaimer. Adding this within the visibility frame of the users make you a more trusted influencer. In some countries the disclaimer is a mandatory legal requirement too. Did you know about hashtags on LinkedIn. Agreed, this is not for bloggers, but some of us also have a full-time career that earns us our living. So this is for your life beyond blogging. – Recently I discovered that LinkedIn also suggests you hashtags to follow. So incase you are an employer struggling with visibility of your job offering just add 1 or 2 relevant hashtags. Ofcourse, it’s a professional sites so inserting irrelevant hashtags will cost you way more than loosing follower count. – Similarly, if you are looking for jobs in a particular domain, start following those on LinkedIn to never miss a notification when your dream jobs are available. So let’s answer the elephant in the room – why do people ridicule hashtags? The simple reason is what I mentioned earlier – use of irrelevant , spammy hashtags. The most cringeworthy example of this was found on a study on Instagram – the “followtofollow” hashtag. So as it turns out, people need followers, either forsocial validation or to promote their product. For that they need followers on these massive social platforms.You choose the mother of all hashtags #FollowforFollow to get people to follow your account. The hashtag comes with an ask and a promise – follow me, I’ll follow you back.Wait, that’s like a FB friend request? Yes, except, when you delete someone from your friend list, both of you loose a count from your list, but here, when you unfollow someone, there is a downtick in the follower count of the person, while you still have them as your followers. So, few days after you keep your promise, just secretly start unfollowing them – that promise came with a loophole anyway, “follow for follow, nothing said about unfollow”. Some people used it for social validation, the “cool factor” while some used it for their blogging business, maybe to showcase the cool factor of their to potential clients. This is the most spammy hashtag, which gives me a really bad impression but more often than not I see even established bloggers using them. So, while I don’t instantly unfollow account using these hashtags, it does discourage me from following new accounts. Another form of spam is what I saw first-hand when someone commented on my feeds requesting me to check their photography page. When I did that I found the picture of a random pond in India with hashtags #palace #paris etc. Yes, totally irrelevan hashtags. So imagine the distress of someone following #palace for some great pictures of palaces around the world and stumbling upon these kind of feeds. Irrelevant hashtags like this calls for instant unfollow. Then there are people who use hashtags throughout the sentences. #Look at this #beautiful #palace in #Madrid in #Europe. The picture is indeed a palace in the stated place, and you are factually correct, but can you for once read it out loud and listen to yourself? This is not just from the POV of a content creator but also from that of an user and one who follows relevant hashtags for improving their feeds. As a content creator on Instagram, I do plan to use all types of relevant hashtags to get maximum visibility. Hashtags that define my nice, which is travel. There are some great apps out there to help you out with a bunch of hashtags, but as of now, I’m managing it on my own. For twitter however, with the character limitation, you need to choose the most optimum hashtags for visibility. You are using hashtags to talk with the machine, the algorithm behind the platform you use, not to talk to the real people. So keep your caption free from hashtags. Even if it’s relevant , don’t use it. Let people read your captions and tweets normally, let them see you as a normal human being and not a robot. For Twitter, I always prefer to keep hashtags at the end, but there is a character limitation which is why people still put hashtags within the sentences. For Pinterest, as mentioned on their site itself, usage of hashtags should preferably always at the end of your description. Since Instagram is a highly visual medium and is optimized for mobile usage, just consider hiding your hashtags from the users. So on the mobile phone the use sees only your beautiful photograph and you catchy caption. Now only if they are really interested in keyword research they might scroll down and find your hashtags, which is fine. When you hide those hashtags from sight, as a content creator you are not spoiling the user experience, but at the same time, you are able to speak with the machine learning algorithm in the background telling it what your content is about. a. they had enough time or interest to do so, in which case, good job! Subscribe, to be notified of new posts every week and feel free to mail me at [email protected] You can also follow me on Facebook and Instagram for some daily dose of wanderlust. Yes i would be interested in back-links n authority BLOG. This blog is amazing ; learnt a few new things.THANKS FOR SHARING. This was super useful, thanks! I till date couldn't figure out why we need to use hashtags… now need to figure out which are the right ones for my post! Please continue with this series! Most helpful! Nice writing, and an interesting topic. Hashtags are the self a trending topic. Never thought so much into this pound sings. Will start using more optimally. Thanks. Very nice article. Learnt new things about the hashtag usage. I am glad I read this. I use hashtags in my captions on Instagram, which I must stop. Will use them the right way now onwards, following your helpful tips. Thanks for sharing. Brilliant post! Extremely informative and very well researched. It's a surprise how people continue to use hashtags blindly, hopefully, your post will make them see light. Thank you for bringing this one to us. Keep writing! That's an amazing post. I never paid much attention to hashtags but now I think I should. Thanks for sharing. Very detailed post and good pointers for us. I use my branded hashtags #MySweetNothings and #Viviwrites. I myself have also recently started studying hashtags, algorithms etc in more detail and there is so much to learn! When it comes to social media marketing, your hashtags are the key to SEO and visibility of your content. 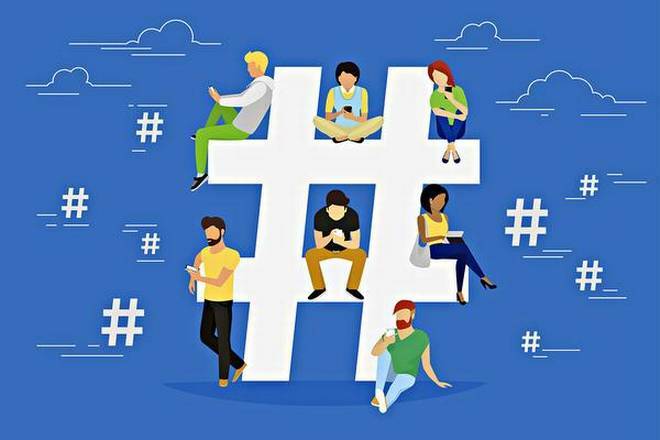 Hashtags can also help you spark, search and unite conversations happening across the internet, and can attract new followers to your accounts. But don't feel intimidated. You certainly don’t need to overdo it with hashtags. In fact, tweets with a single hashtag tend to get 21 percent more engagement than those with three or more. Using trending hashtags can also mean taking advantage of recurring standard hashtags that people use, such as #tbt for Throwback Thursday. Again, your content should make sense when paired with these hashtags, and you want to aim for short, punchy contributions to the topic that will make people stop and read. A very interesting post on Hashtags! I follow a few hashtags, but when irrelevant images or quotes pop-up, the fun in it is not there, as you rightly pointed out. I would love to read your next post on this blogging series. Very well written! The post has showered a lot of light on use of hashtags. Will be following to read more. I have been using hashtags for a long time but I had no idea that it had these many benefits. I also didn't know that Instagram has a restriction of 30 #hashtags per post. Wow!!! U made my day. I’m totally a newbie when it comes to #. Thanks for the info. Wow! Thats an exhausting post about the use of hashtags. I learnt the value of hashtag after joining twitter. They are really helpful in many ways. 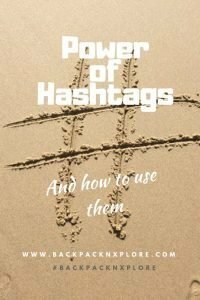 A wonderfully informative post on hashtags! Thank you for sharing it. You have cleared all the queries for a newbie 🙂 I had faced a lot issues for hashtags, in the beginning many of us got tricked with banned hashtags and that is when we came to know about banned hashtags. Loved this post, it was quite descriptive and informative. I have been using hashtags in my Instagram posts but could never understand how they work. I still struggle to find out the trending hashtags & how can I land my post in the top ones so that it doesn't get lost among the many great ones. Looks like I need to do some better research. I will be looking forward to your next post of the series. So much to learn in blogging! It is good to know more on hashtags. 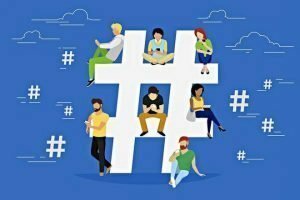 I have seen hashtags when used wisely can help in increasing the reach. It was great reading this post. Very useful information. I'm still learning to find and use the right hashtags. The reach and exposure they help you achieve cannot be argued upon. Good post. Till recently I too made fun of hashtags. Also, I hated to see huge chunks of hashtags especially on Instagram. It's good to understand how to use hashtags optimally. Thanks for this informative post. 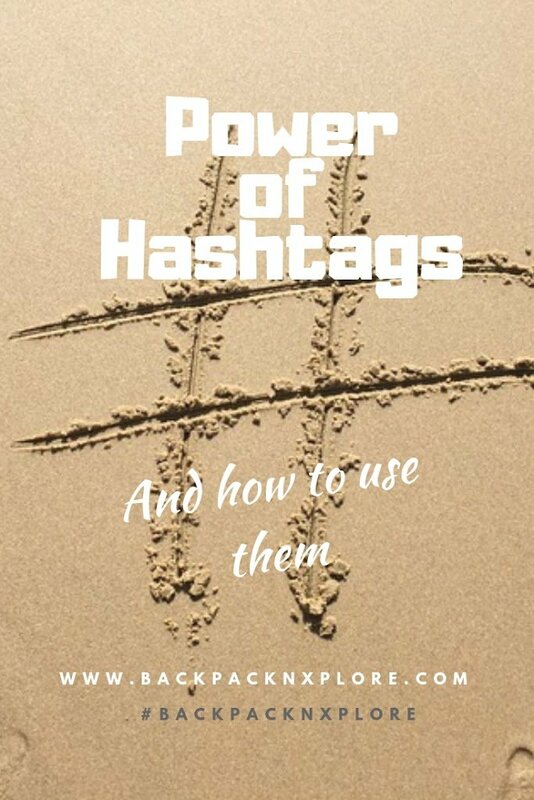 This is indeed very useful and well written to understand the importance of hashtag. I usually be very cautious as my instagram account is dedicated to food blogging. It's amazing how these hashtags can help you get the outreach! That is useful . Everyone would benefit from it . I am a rare user of Insta . But reading your post , I think I should catch the power of hashtags on Instagram. Interesting!! Read Something UNIQUE in a While. Superb!!!! Thanks for the useful post. Never realized the importance of hashtags until recently. Thank you for the tips, especially tagging brands. Never before this brilliant idea entered into my mind. Very informative post. This is helpful and brilliant post. And finally someone said about that hashtag spams. Waiting for next post in series.